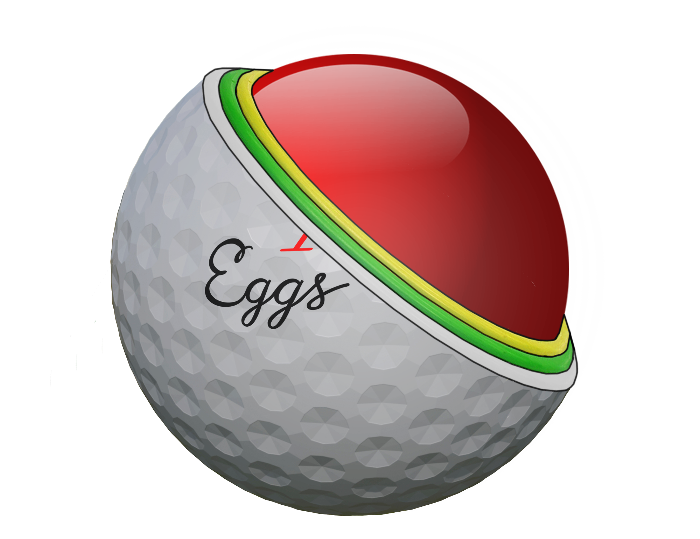 Eggs Pro4 is a 4 piece premium ball projected to inflame professional golfer’s game, but also players of any skill levels can benefit of its uncompromising distance on all shots and outstanding spin around the green. Provides radical performance, irreverently second to none. Its soft urethane cover that remains incredibly like new round after round, and its 338 dimple seamless design, provide great spin and stable trajectory. Explosive core elasticity with softer inner & harder outer two layers mechanism, create great restituition and increase preservation of energy delivering high initial speed for extra distance, still mantaining a soft touch.